In what many would accept as a startling aberration among Indian parents, a father, who is a doctor, has said he would rather his child choose any profession -including pole dancer- over following in his footsteps. 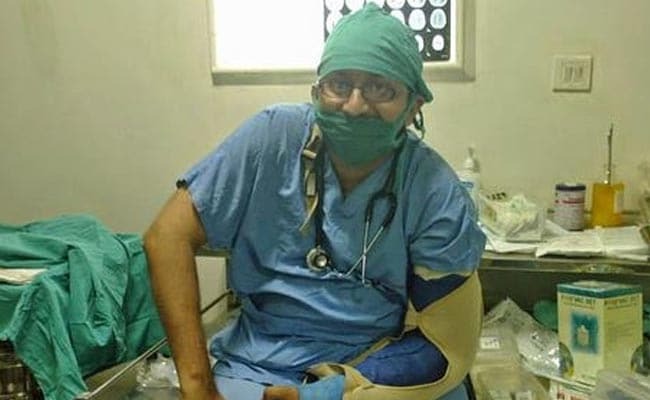 In a blog post titled, 'Why I will never allow my child to become a doctor in India', Dr Roshan Radhakrishnan, an anaesthesiologist in Kerala, offers plenty of reasons in commandments with titles like "Thou shalt sacrifice your time, parents, spouse and child." But there's a lot of serious material offered. "I wish it were JUST about losing your family life, working twice the allotted hours and taking home the pitiably disproportionate salary though. But sadly, it isn't even that anymore. Now, it is about getting home in one piece. From stopping patients from dying, the medical field is now being forced to worry about not being killed by the patients bystanders," he writes. The blog was posted on May 15 and has gone viral on social media. It has been shared nearly 20,000 times on Facebook and a Reddit thread has also been started on it. "Are you willing to die for your profession?" he asks, citing "The Indian Medical Association confirmed in May 2015 that over 75% of the doctors in India have faced some form of violence at the patient's hands in India. 75%." He ends with this, "You will have every opportunity to choose whether you want to retain your religion or change it ...you will have every opportunity to choose the love of your life irrespective of caste, creed or even gender...you can be a wildlife photographer trekking through the Amazons or dance the poles at Las Vegas. But I will never allow you to become a doctor in India. Because I did not raise my child for two decades just to watch her lose her sense of right and wrong, of humanity or worse, watch her die. And I don't mean just physically." Dr Radhakrishnan says he has also asked other doctors to talk about their experience in the profession and what is going wrong in India. The post has already generated 130 comments.